And yes thats me! You get rewards every day so thats why I joined it, I'd prefer a fun guild with a cool crew though, you get guild rewards for scoring in the challenge. It's not very much but hey everything counts right? Oh yeah StoneRose is probably aware but I've seen there's apparently a hack giving you unlimited diamonds running the web. That's for the ultimate losers. HC is too short of a name for the guild, how should I name it then, simply "The HC Guild" or anyone has any idea? If you think someone is cheating, please report them to help@vcmobile.net so that we can investigate, thanks! Edited by lordgraa at 20:50, 31 Jan 2017. Or what about HC Kreegans? Takes time, I started playing before the global release already, MarksMasters has better creatures than me, I have no level 75 yet. To get them you just evolve them. Edited by yasmiel at 21:02, 31 Jan 2017. Or maybe simply "Heroes Community". ON VIP rewards level 6 it says "unlocks all difficulties" - does this mean some difficulties are permanently locked for non paying players or is there alternate way to unlock them? last few dozens of battle tower also seem to have a lock on their icon - same question whether this is available to non $ paying customers? Even better! 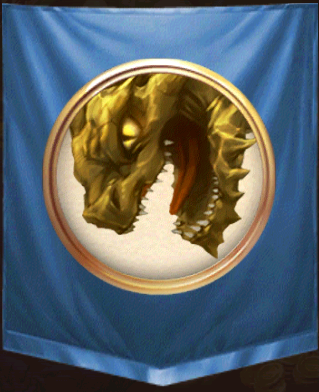 I just wonder what creature will you choose for guild banner then? Yea just go with Heroes Community Guild or something. yasmiel - neither are locked for non-paying. The Battle Tower levels that are locked are coming soon, so no one can unlock them currently. Consider them "under construction". The "unlock all levels" means for Quests. So when you play a Quest for the first time, you don't have to play through the easier difficulty levels, you can go right into Price or King if you'd like. As I have said earlier you are limited by 12 characters per name of a guild. So max: "The HC Guild" or just "HC Guild". I actually don't have that many creatures I usually recycle for space, but for the moment this could do I guess. BTW is it possible to change the portrait at any time? Edited by yasmiel at 21:22, 31 Jan 2017. Thanks StoneRose, these are very welcome news. Edited by lordgraa at 21:24, 31 Jan 2017. Absolutely! Even the color of a banner. But not the name. OK up and running! I went with HC Kreegans as a nod to JVC. Edited by Galaad at 21:55, 31 Jan 2017. Right I see there's a 20 people limitations thanks for the headsup, changed to invite only, but how do I invite? Edit: Oh ok I get it now I get to accept or refuse, welcome aboard Yasmiel! @StoneRose - one thing I am missing: why we cannot add user as a friend in the game? Only via FB/GP? I would like to add some guildmates as my friends but there is no such option Would be nice to implement it later (via the profile inspect tab). Ofc with Accept/Reject/Ignore confirmation for the one who you request to be your friend to avoid spam. Edited by Stevie at 22:06, 31 Jan 2017. I'm joining the HC mad house too. Dis gon b gud. So what exactly can we do as a guild? Oh never mind, I figured it out. It's something we're looking into. Actually right now if you connect FB it will show friends, but not GP. Also note the reason we ask people to connect to FB/Google is so that we can cloud save your progress in case you want to continue on a new device, which is pretty common these days when people get a new phone for whatever reason. Just full disclosure, connecting to those will put you on our email list (we send emails 1-2x month about game updates and events) but that's an easy 1 click unsubscribe. Actually right now if you connect FB it will show friends, but not GP. Everyone has either a GP or Apple account, but lesser have facebook. Not to mention some boycott facebook.